The diagnosis ARVC can be a profound turning point in someone’s life. It is a challenge not only for the individual, but for whole families. Hence, the wish for the exchange of experiences with others arose. Together with other ARVC patients and relatives, we founded the ARVC self help group in summer 2013. We are organizing regular meetings with lectures, and are constantly developing our activities. 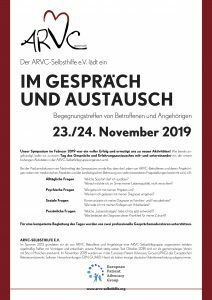 Since October 2018 we are a registered association based in Munich (Germany). 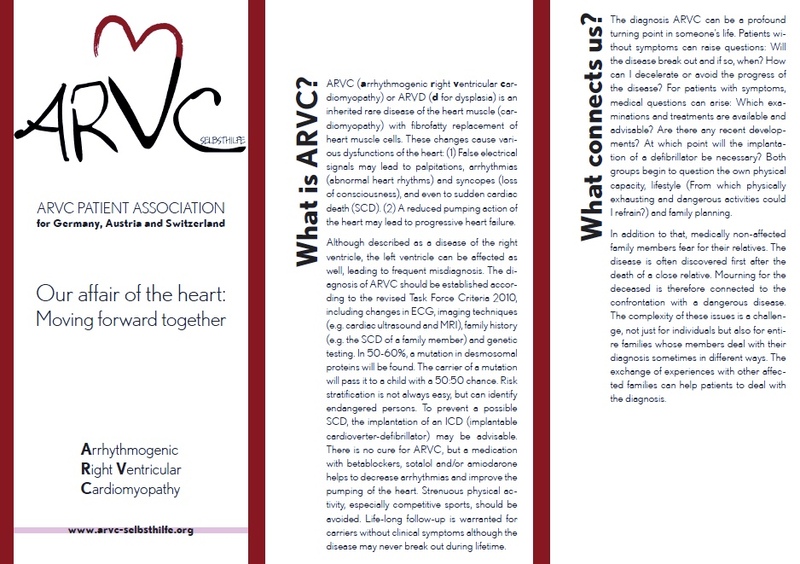 Please read our leaflet for more information on our patient association and on ARVC. We represent the interests of ARVC patients and relatives on European level. Since November 2018 we are the only approved German member of the European Patient Advocacy Group (ePAG) of the European Reference Network of Rare and Uncommon Diseases of the Heart (ERN) GUARD-HEART.